WEFTY collaborated with Me+You Fabrics to create Roller Coaster kits! 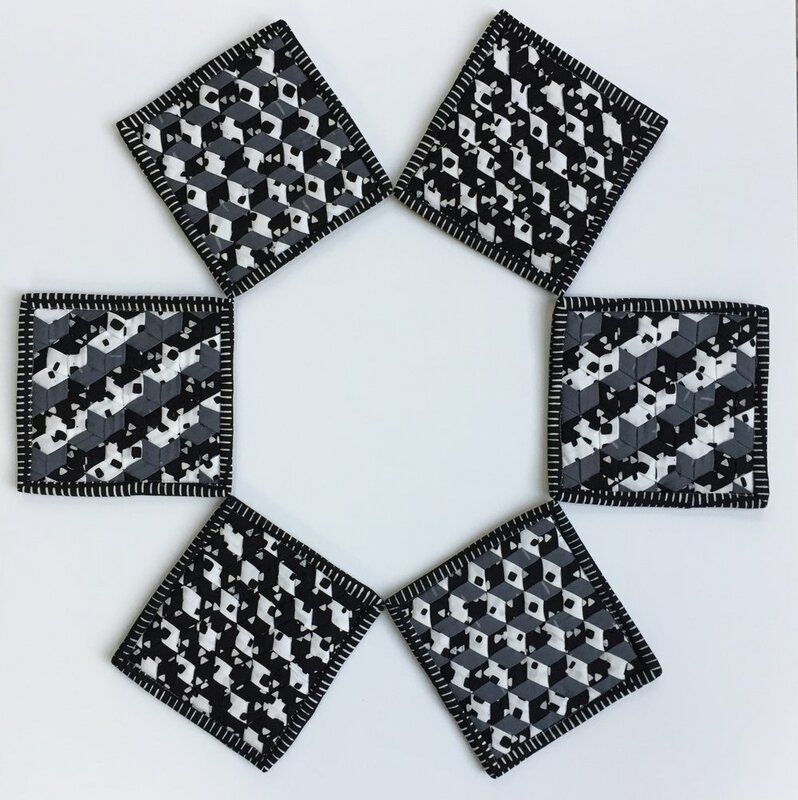 Ask your local quilt shop to order a kit, and if you're a quilt shop, ask your Hoffman Fabrics rep for more information! The coasters each measure 5x5 inches. This photo shows one set. 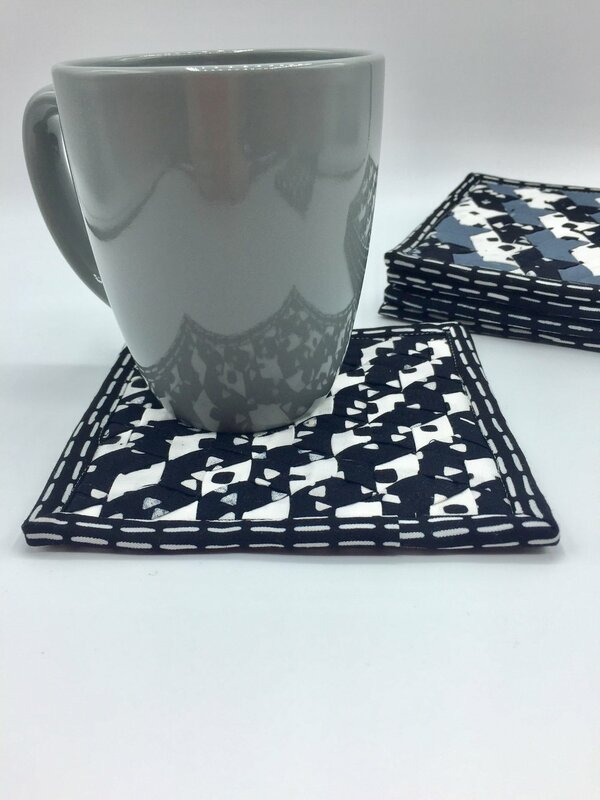 The pattern includes instructions to make six coasters while learning THREE triaxial weave designs! 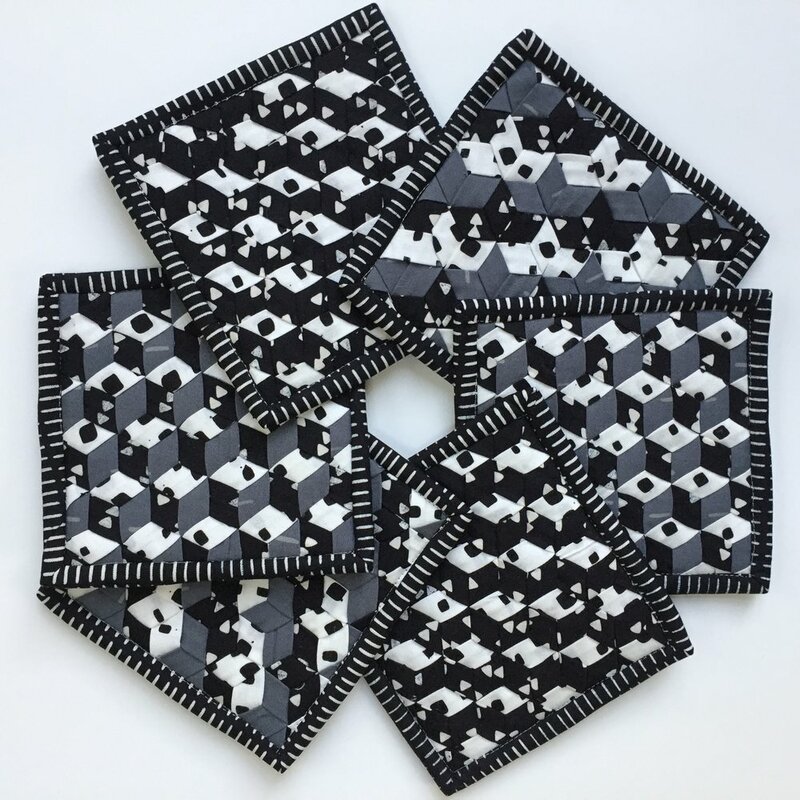 The kits include the Roller Coaster pattern, Indah batiks in black, white, and grey for weaving, binding and backing fabric, as well as interfacing and fleece. I love how these neutral Indah Batiks bring out the dimension and texture of madweave. But I can also imagine throwing in a signature color as well! I'm really thrilled to be part of a collaboration with Me+You. They are good people, and I'm obsessed with their fabrics. If you've not had a chance, check out their Indah Batiks, and also their lines designed by Latifah Saafir - everything is edgy and modern but accessible and fun. Basically awesome times ten.